Comfortable - the GROHE Aquadimmer is an operating lever that allows choosing between the Talentofill filling valve and hand shower and controls the flow rate at the same time. 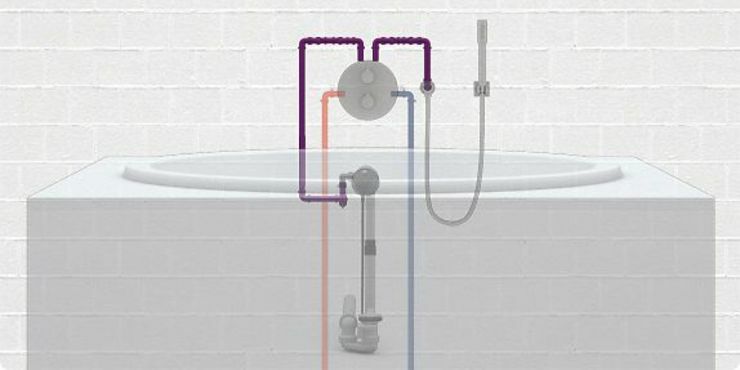 To prevent drinking water from being sucked back into the pipe network (see EN 1717), an approved safety device must be fitted when installing a hand shower or a Talentofill filling valve in combination with a bathtub. Such a device is available in the GROHE accessories range – product number 29 007 000.